Hi there! My name is Victoria Pease, aka Victoria Sponge Pease Pudding. 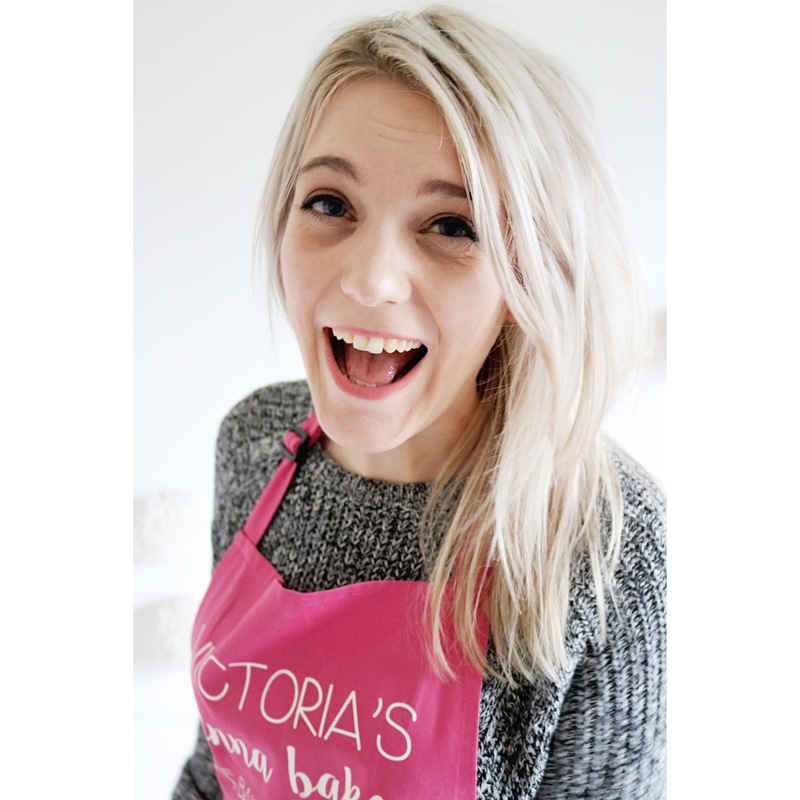 I am the girl behind the blog, most likely to be found covered in icing sugar around 75% of the time – the other 25% of the time, perhaps dusted with self raising flour or indeed a smidge of cocoa powder. Since October 2011, I have been baking cakes and getting to grips with various cameras to share my foodie musings, pictures and recipes with the online community. I love every part of blogging and have made some lovely friends whilst doing so. What sort of camera do you use to take your photographs? In the early days of the blog, a simple Canon point and shoot, progressing to a borrowed Canon G12. From January 2016, I’ve been using a Canon 750d. Oh that’s difficult! I love baking cookies and the endless flavour possibilities that they ascertain, but my favourite thing to do is bake cakes, even better when its for a special occasion or made with love for my friends and family. Plenty! Salted caramel, caramelised milk and white chocolate, the combination of salted pistachios and dark chocolate, fluffy buttercream and pecans. Most of these you will find hidden in bakes in the Recipes page. Can I get in touch to talk baking or even work together for a project? Sure! Get in touch through one of my channels listed on my home page or visit my Contact page and we can talk!